This letter is dedicated to everyone who is enduring the pain of losing a loved one. It hurts to lose someone you love. When you see the person lying lifeless, you may experience vast emotions engulfing you. "How could I have avoided this situation? Why did she leave so quickly? Is this real? Please wake up.." But at the end of the day, I hope you come to a conclusion that "she is in a better place". Where she is right now, there is only peace and no pain. There is no sadness, no illness, and no prejudice. She has conquered the journey of life in her own way. The people who visit her fall into two categories - those who celebrated her life, and those who cherish yours. There are people whose lives she has touched and positively impacted, who make no qualms to say their final farewells. That is something to be proud of. More importantly, there are also people who come to comfort you. You know that no matter what comes your way, they are here to stay. Brief recap from part 1 and 2: Désiré needs to fulfil the birthday wishes of his dearest Elma, most of which is caused by himself.Part 2 is a lot of talking to fellow colleagues, to get hints to lead into future parts. 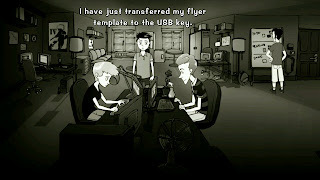 I forgot to add this to part 2 (will add as well): Use Computer with USBKey Use USBKey with Pablo. He will print flyers for Elma's concert. Task 3: Find people to invite to her gig complete!! Now let's go to Underground and click Place de Clichy, AKA Kevin's Home. You will land in a dark corridor. 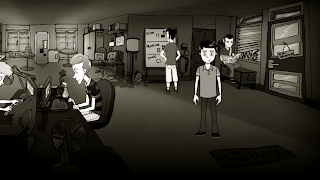 Looks a bit creepy, but don't worry, the game is absolutely not scary! Use Kevin's keys with Kevin's house (lol duh). You will see Désiré talking to his internal voice, telling him to give up. But obviously to carry on with the game, you will need to get into the house. Use Kevin's keys with Kevin's house again. 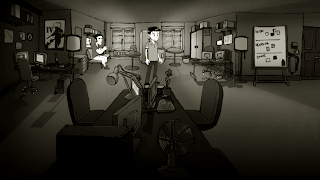 The house will then be lighted and you can explore inside. Get the Whiskey on the table. 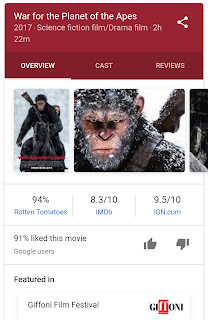 So today I went to watch War for the Planet of the Apes. Usually I don't watch animal shows, but there were no other good shows so I just had to watch this. It's also quite worth the money cos the movie is lengthy (what aunties will think hahaha). The ratings are also quite impressive, but is it? I think I get obsessed over the littlest of things.. 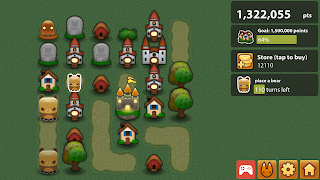 I love playing Triple Town (despite this game being super old), and hence I always wonder what in the world does the triple castle look like??! So the triple castle is a combination of 4 floating castles, which is super duper hard to achieve. It is also the very last of what can be made!! You need at least 8748 grass for the triple castle?!?! Thank goodness for other objects especially the diamond which is the major shortcut that is much appreciated and prayed for during the game! So now, we will be seeking help of some colleagues to achieve the somewhat unachievable task of getting Elma's birthday present. So you are looking lost in the office. Let's start from the right, talk to Kevin. Talk about everything then let him read in peace. To all real estate agents, you should really touch your conscience if you want to sell this place. Please cut the crap about "serving the customers with heart", only profit-driven or ignorant people will want to sell this place. I shall not comment too much just in case, but what I can say is that it is really noisy in the day and night. If you do not enjoy peace and serenity, then this is the place for you. 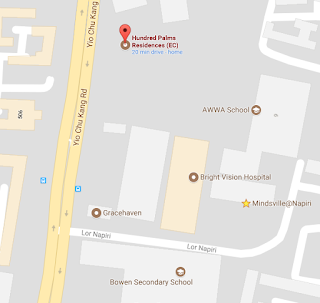 And potential buyers will not realise this because the showroom is in the next junction, behind Bowen Secondary School, which is not very near the actual land. Imagine you move into your new home, unexpectedly have to tolerate the amount of noise, then find it difficult to resell it because only a select few will want to buy it. Good luck with that. Apologies for the long wait! Took me forever but I'm back!! 2003 here we come! Click here for part 2, 3, and 4! You are in an office, looking like a sweet teen I guess. There's a dude sitting at the back called Sebastian. Let's talk to him. Talk about the restructuring plan. Sebastian will let you know that the company is laying off some people. Ask him what about him, and then how are they going to let go of employees on full-time contracts. Now go to the bottom right corner and click underground. Talk to Elma. You will realise that Elma is his crush. Perriot says you can singAsk about volunteeringAsk her to the moviesWe are going to be late thanks to the transport authority The train will then come and you will then reach the soup kitchen. Talk to Elma again. Try to ask her out for dinner She will sadly reject you and ask you to get herbs from the room. Go to the back room. Open 3 cupboards and you will hear Elma screaming. Go back to the dining room.